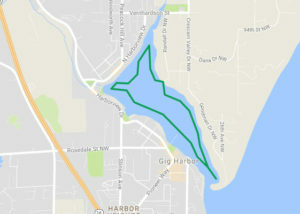 A selection of paddling routes around the Kitsap Peninsula to provide some guidance and inspiration for you to start enjoying the Kitsap Peninsula National Water Trails. 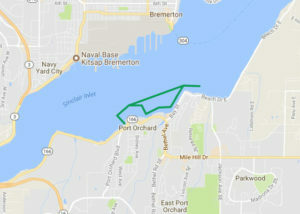 Whether you try these routes, or make your own, with hundreds of miles of shoreline that encompass the KPNWT you can experiment and explore what the Kitsap Peninsula’s waterways have to offer. Explore North Bay stopping at Coulter Creek for a picnic. 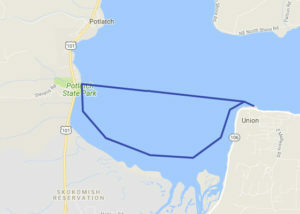 Take a nice paddle along the Port Orchard waterfront. 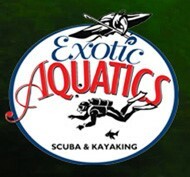 Enjoy a nice paddle around Kingston and Appletree Cove. Native American-themed Tillicum events, trails, and views of Seattle and Rainier. Visit the interesting geologic formation Blakely Rock. Paddle around the popular Purdy Spit and Burley Lagoon. Paddle to the mouth of Chico Creek to see spawning salmon jumping in the fall. A short paddle to a nice picnic spot. Relaxed paddle to Dog Fish Creek on Liberty Bay. Leisurely explore picturesque Eagle Harbor. Make the journey from Fair Harbor to the Allyn waterfront. Paddle out to the Fox Island Sand spit for a picnic. 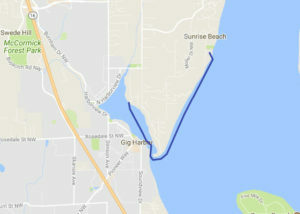 A nice, sheltered paddle around lovely Gig Harbor. Paddle to Gorst Creek where the salmon spawn in the fall. Paddle the Dragon. Make the pilgrimage to Hood Head and its driftwood sculpture. 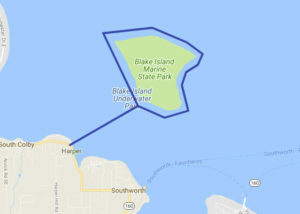 Journey to Hope Island, only reachable by watercraft. Family friendly paddle to J.A. & Anna F. Smith Park. See spawning salmon in the mud flats of Lynch Cove. Enjoy a lovely view of Carr Inlet and Mt. Rainier. Make your way from Tracyton to Ostrich Bay and N.A.D. Marine Park. Explore marinas and wildlife paddling to Oyster Plant Park. Explore the nice sheltered Mayo Cove. 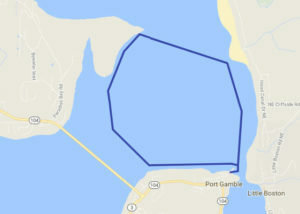 Make a loop of Port Gamble bay with shy seals and a variety of bird life. A charming historic mill town and heritage park. 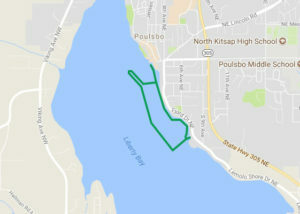 Paddle from Poulsbo to Keyport on Liberty Bay. Paddle from Kopachuck State Park around Raft Island. Scenic views of Hood Canal and the Olympic Mountains. Explore southern Hood Canal and the Skokomish River Delta. Paddle to Sunrise Beach Park for a lovely picnic with a view. 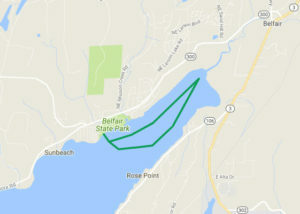 Paddle from Shelton to a nice picnic at Walker Park.